An atrociously bad eco non-thriller from the director of Grizzly Man, Rescue Dawn and loads of other, infinitely better, fiction films and documentaries. Dr. Laura Sommerfeld (Ferres) travels to Bolivia to investigate the ecological disaster of an expanding salt flat for the United Nations, amid rumours that the disaster has been exacerbated by industrial development. Along with her companions, she is kidnapped from the airport by masked, armed men and taken to meet their leader, an American CEO called Matt Riley (Shannon). Riley and his men drive Sommerfeld to the centre of the salt flat and leave her in the company of two partially sighted young boys, after explaining that the real ‘injustice’ is the world’s lack of preparation to deal with the eruption of a nearby supervolcano. Even before the lack of dramatic impact hits you, you’ll notice the clunky acting by everyone involved – yes, even from Oscar nominee Michael Shannon. In part, that’s due to the terrible on-the-nose dialogue which also doesn’t have an ounce of credibility. There’s little of the detail and technical language you’d expect from scientific experts; often the script sounds like a bad translation of a bad imitation of ‘expert’ speak. You might almost think it’s a bit Brechtian, except that the film also wears its gauche hearts-on-sleeves approach to ecological concerns very heavily indeed. Sincere and crap, oh dear. The dramatic curve dissipates very early on and the climax is nothing of the sort. Even the traditional ‘privileged people out of their depth’ angle doesn’t really work, as Sommerfeld proves competent at survivalism. Except that now I’m not so sure. Is Herzog really concerned about the supervolcano phenomenon? Does he really think it trumps concern about man-made climate change and the social justice effectuated when polluting and world-destroying corporations are brought to book? If he doesn’t believe these things, then what the hell is this film about? If he does believe these things, couldn’t he at least have found a better story with which to support them? Two things make the film interesting. 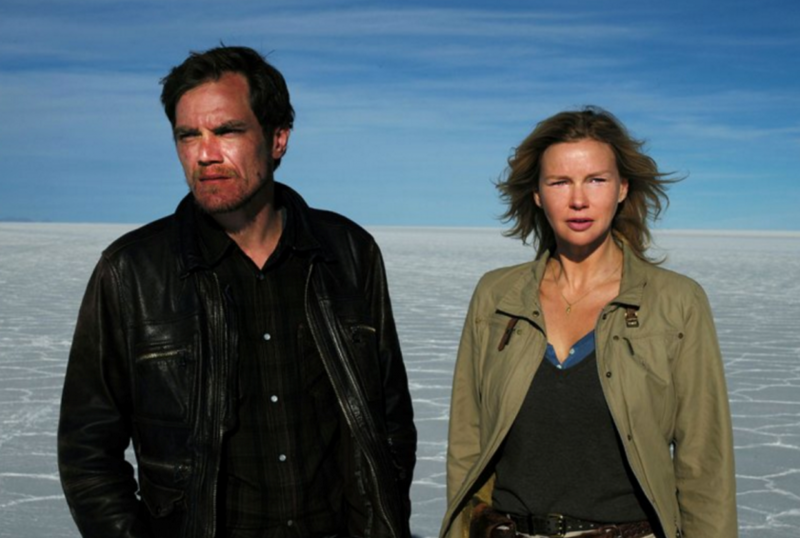 One is the location shooting on Salar de Uyuni, which ticks boxes as far as Herzog’s usual celebration of deserted expanses and vicarious extreme tourism goes. The other is the sublime, mind-melting question of how a film this bad got made in the first place. Salt and Fire is released on DVD and digital on 24 April 2017.